Northeast Ohio is a great place to live until it comes to the weather. We never know what it is going to be like outside and we have even seen every season in one week! In fact, Northeast Ohio was rated number nine out of ten for the harshest climates. If you are the owner of any building in the Cleveland area, whether it be your home, a church, or other, then you know how tough the weather can be on your roof. 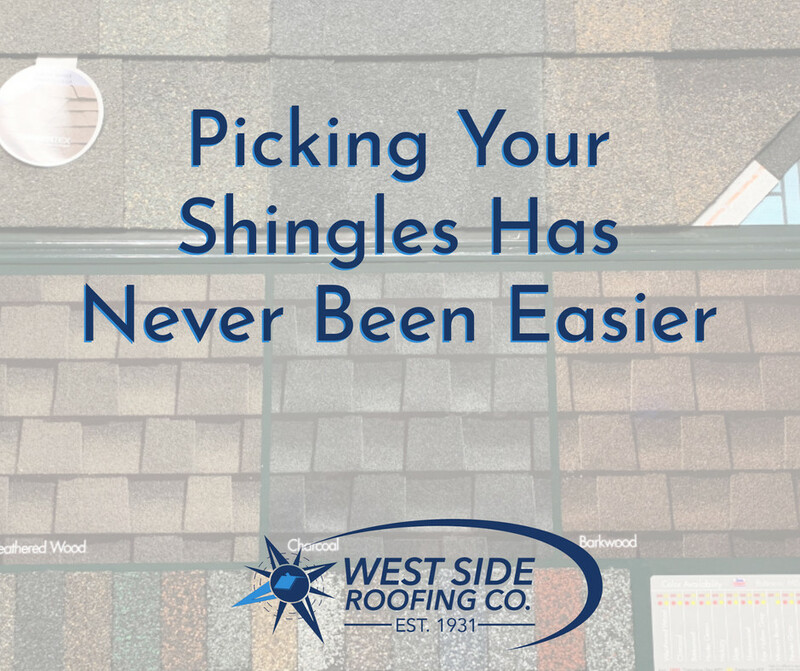 However, you can easily protect your building's roof by picking the right shingles! You don't even have to sacrifice the aesthetics of your building for utility. 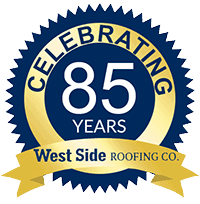 West Side Roofing has a wide selection of shingles to suit your needs all the way from durability to color. In order to prepare our customers for the tough climate that Ohio brings, we always recommend GAF Timberline Shingles. We have many different color options to choose from so you can have exactly what you want. The Ultra Timberline Shingles are 300 pounds per square, a 10 ft. x 10 ft. area. We suggest the Ultra Shingles for our customers who own churches or high-end properties because you want something super durable to protect those roofs. The High-Definition Shingle is more lightweight than the Ultra, but still very tough and it does have a limited lifetime warranty. This is more of a standard shingle that we recommend for most typical homeowners. GAF Timberline Shingles are incredibly strong, weather resistant shingles as a result of the technology used to create them. The Shingle-Mate is GAF's shingle underlayment. It is made with fiberglass backing and coated with asphalt to reduce wrinkles and buckles. Then the granules are embedded while the shingles are still hot. 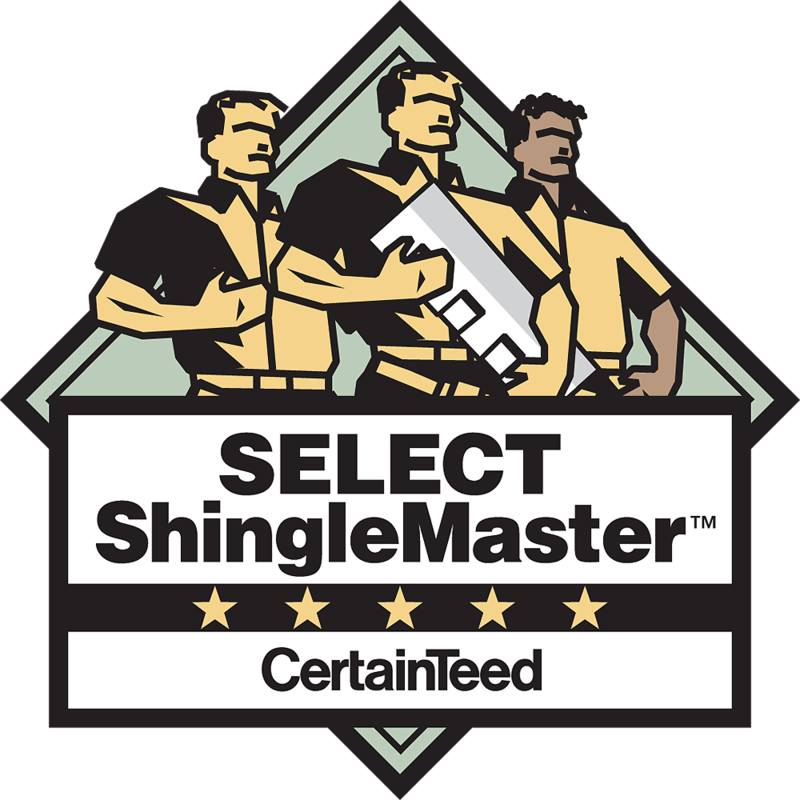 Additionally, our shingles are American made! We receive our GAF Timberline Shingles from either the Michigan or Pennsylvania plants. We know it can be hard to choose the right color for your roof. This is why we have a database of addresses that our customers can view and weigh their choices. If there is a roof in the neighborhood that you want to replicate, we can tell you what kind of shingles to get. We also bring our sample board so you can see your choice up close! Our most innovative way to help you pick your perfect shingles is a color view. All you have to do is take a picture of your house and download an app to your device. Once you have your picture on the app, you can virtually change the colors of your shingles to see what they would look like on your house! If you are looking to change up the way your roof looks or if you want to protect your building from the harsh Northeast Ohio weather, then contact us to talk about your shingle options! 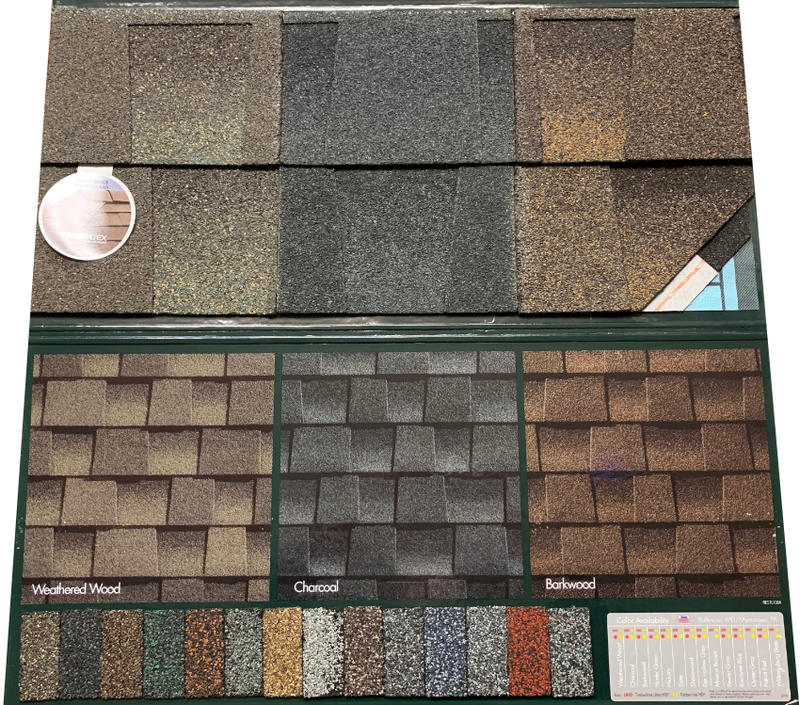 We will answer any questions you may have because we want to take the time to make sure you get the right shingle and the right color.